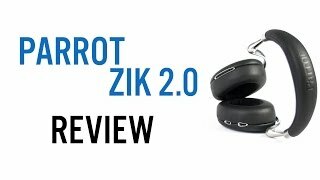 The Zik 2.0 headphones offer terrific audio quality and noise cancellation. The free mobile app gives you plenty of options to customize your sound. After you get used to the touch controls on the side of the ear cup, the tap and swipe navigation works well. The battery life--up to 6 hours of listening time in Bluetooth mode--could be longer. No audio notifications are available through the headphones. Depending on your head size, your ears may feel some pressure during long listening spells. 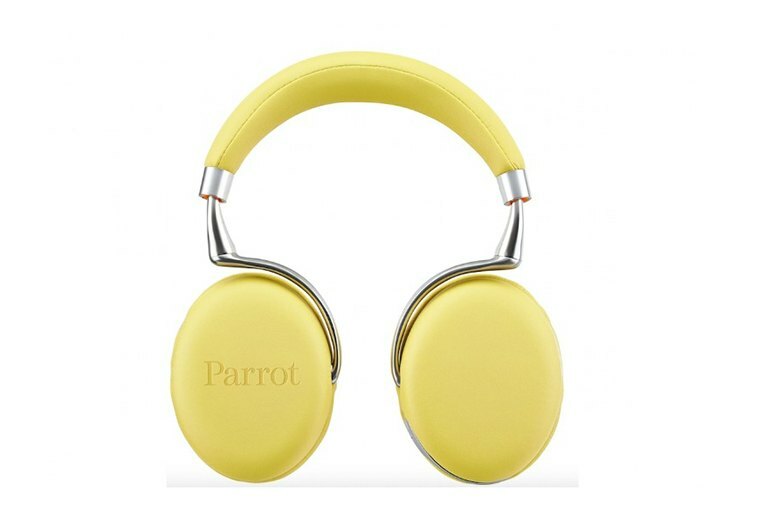 Touted by Parrot as the world’s most advanced headphones, these Zik cans aim to please with awesome audio, adaptive noise cancellation, supreme comfort, and a free companion app for iOS and Android devices that you use to customize your sound up the wazoo. The right ear cup sports touch-panel controls for managing your calls and music. Plus, the integrated sensor automatically puts your music on hold when you take off the headphones. The free Zik 2.0 app lets you control, share, and customize your music; you can adjust the listening environment to mimic a concert hall or a jazz club, for example. 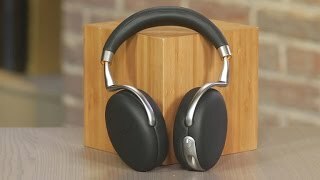 The headphones block out noise very well and the noise cancelling is some of the best I have experienced. These headphones are magic for sound, and magic for choice. We’re in love, we really are. [I]ts battery life is rather short at 3 days of usage – a total of 6 hours, which breaks down to 2 hours each day while using it at the gym. Well, we should note that we had its noise-cancellation option set to its max, which obviously will lessen its usage. [C]all performance is about the same as what we got with the original Zik: My voice is often staticky, especially in noisy environments...I tend to just grab my phone out to pick up calls to save the embarrassment, which is a bit ridiculous given how much these headphones cost. 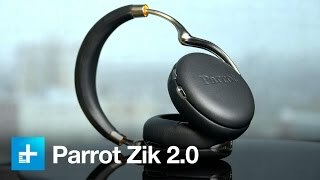 The Zik 2.0 provide very nice lows – some of the best we’ve heard in wireless headphones…By contrast it seems that the mids are slightly backed off particularly in the 1 kHz to 2 kHz range. This can bury vocals at times, though it wasn’t a common occurrence. I've been graced with a large noggin and the headphones feel constricting from the get-go, especially with the limited adjustment allowed. The build materials are comfortable, but for my head in particular, the headband really grinds against me. However, most people should be fine. 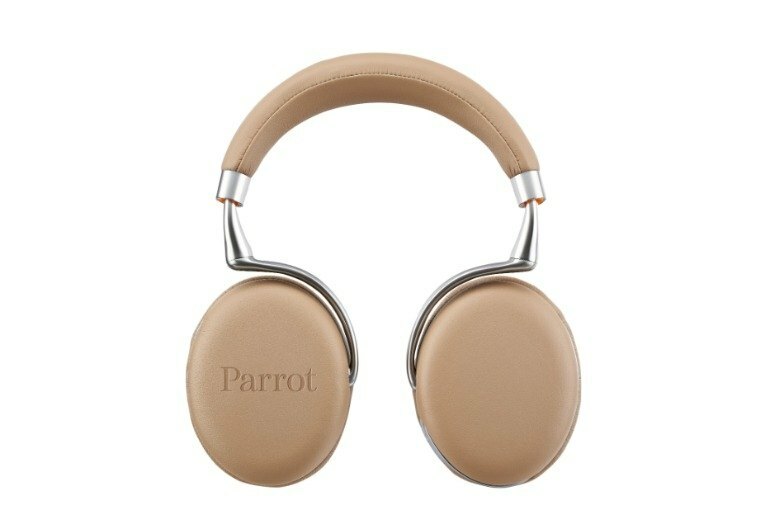 The double-layer memory foam and leather-covered ear cups practically melded with my skin. Aside from slight pressure that felt like a gentle hug, I barely noticed that I was wearing the cans outside of the music pumping into my ears from a two-hour jam session. It takes a few tries to get the hang of the gesture controls on the earpiece—it’s a blank, soft touchpad without visual or textural cues—and I accidentally paused or skipped a track a few times while simply adjusting the headphones for comfort. You basically can’t use them to their fullest without downloading an app…The app won’t work unless you register. 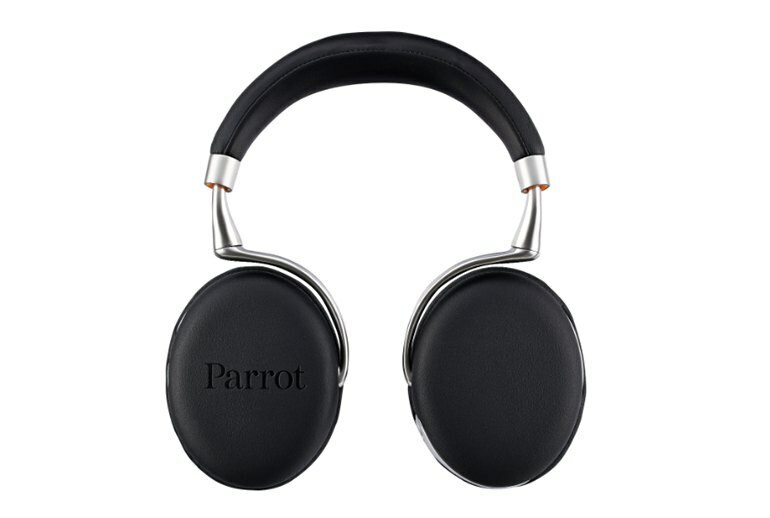 So for $400 you also have to give Parrot your email address, Facebook, or Google + account. EXPLETIVE DELETED. 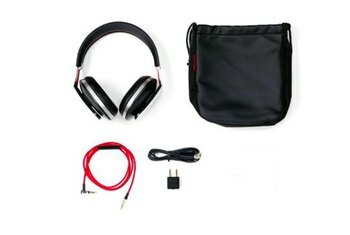 If you're spending your commute on busy subways, weekends on crammed flights or just like that feeling of isolation, then the noise-cancelling ability paired with superb audio quality might be just the escape you need. [The Zik app is] like an equalizer on steroids that's designed so well a child could use it. You've got super intuitive controls over noise canceling levels, a neat interface for the equalizer, an even better interface for a concert hall effect...and finally, pre-programmed tuning presets. Although the Concert Hall feature is interesting and cleverly implemented, I regard it as more a novelty than anything. It’s fun to simulate different room sizes and speaker placements as an occasional diversion. Want a little more punch? Need sharper highs? Everything can be adjusted [with the Zik app], but buyers can expect wonderful audio reproduction right out of the box. Smart tech aboard the Zik also means that you'll never have the embarrassment of sharing your music with anyone else: take your headphones off and the music instantly pauses, it'll resume when you put them back on again. Like a dummy, I wasn’t aware of the [touch panel] functionality the first time I put the headphones on and was left wondering why the music kept stopping and starting at random intervals.